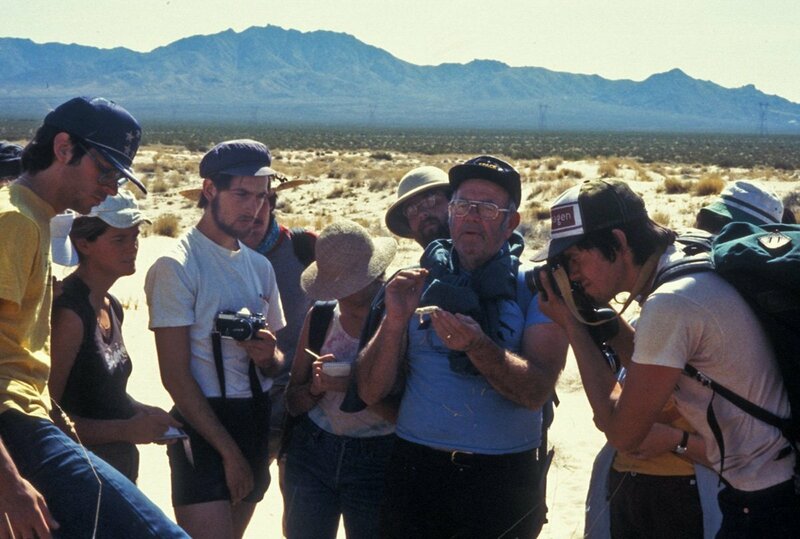 Ken Norris in the desert with Natural History Field Quarter students. Norris brought a proposal created by senior faculty to President Kerr and by January of 1965, the UC Regents established the Natural Land and Water Reserves System, eventually renamed the Natural Reserve System (NRS). The approval allowed Norris to explore California's vast wildlands to survey potential reserve sites. He reviewed 81 sites, 13 of which were initially incorporated into the NRS. 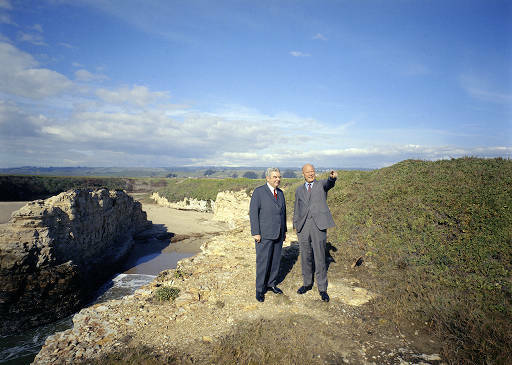 UC Santa Cruz Chancellor Dean McHenry with Donald Younger, donor of Younger Lagoon Reserve, in 1973. Image courtesy Special Collections, UC Santa Cruz. 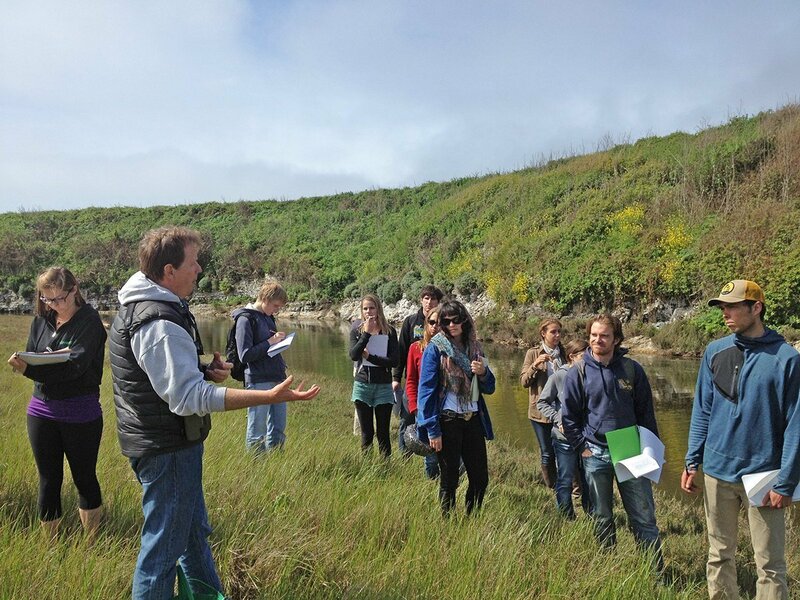 Located just a few miles from campus, Younger Lagoon Reserve is a popular destination for field science classes at UC Santa Cruz. 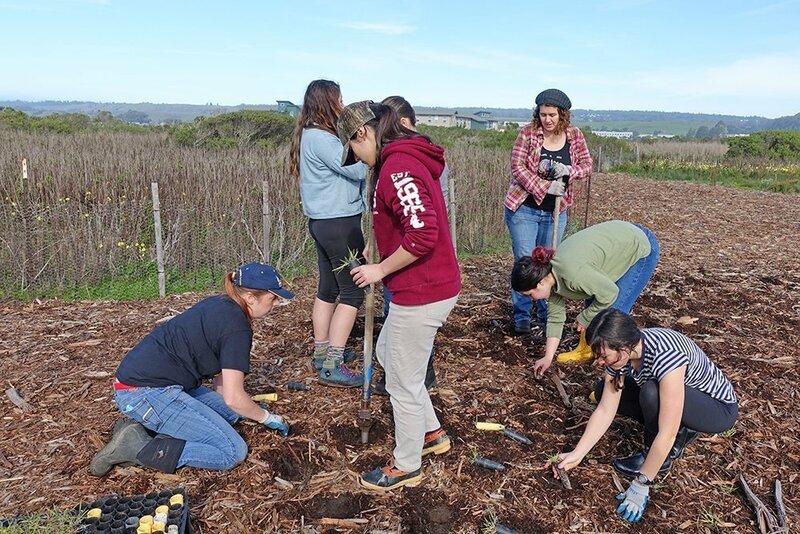 Through long-term studies at Fort Ord Natural Reserve, which shelters a high number of rare and endemic plants, researchers are examining how species interaction and climate patterns affect the persistence of threatened and endangered plants. Long-term data collected at Landels-Hill Big Creek Natural Reserve help scientists understand the ecology of redwood trees throughout their range, as well as how to conserve and manage steelhead populations throughout the state. 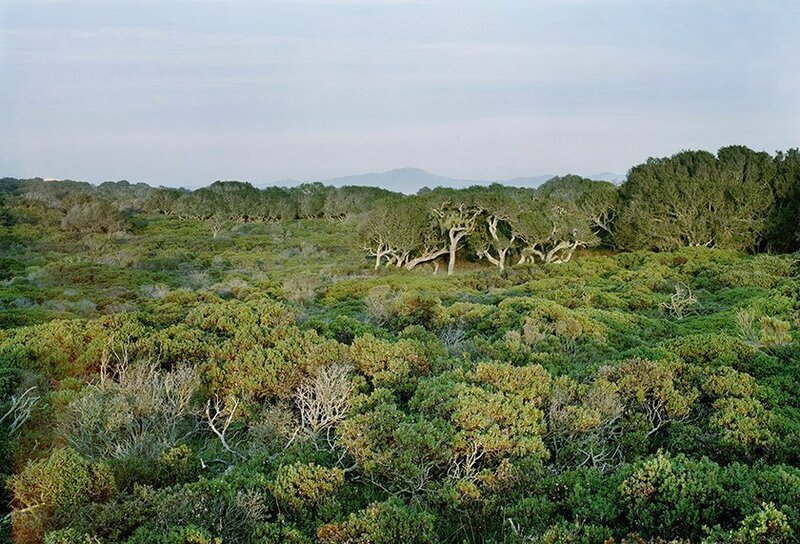 UC Santa Cruz has been a leader among schools that utilize and contribute to the NRS—which isn’t surprising; it’s where Ken Norris created the renowned Natural History Field Quarter, a course that takes students into the field for a quarter-long expedition to reserves across the state. Field Quarter is still popular on campus today and is now one of six intensive field courses offered at UC Santa Cruz.